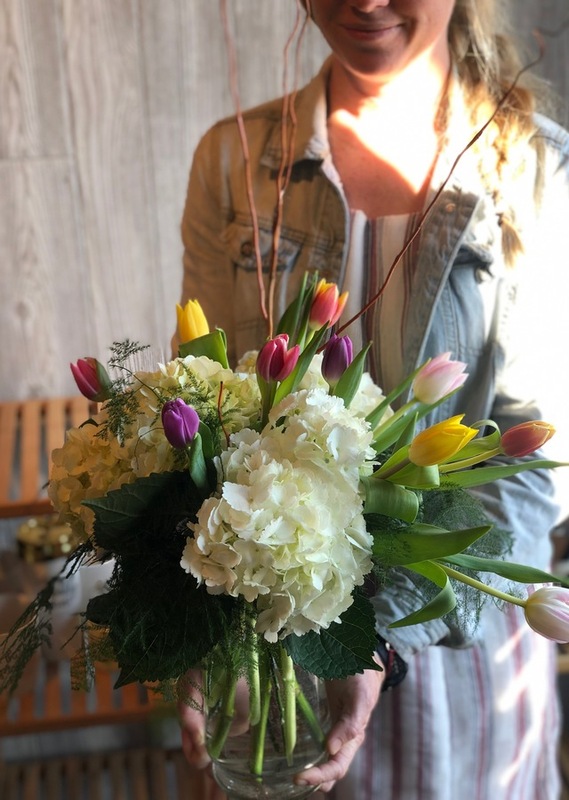 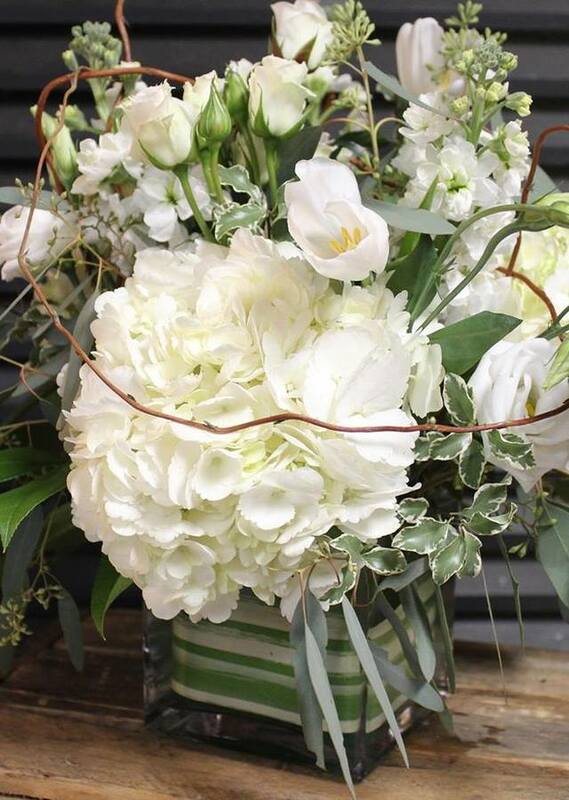 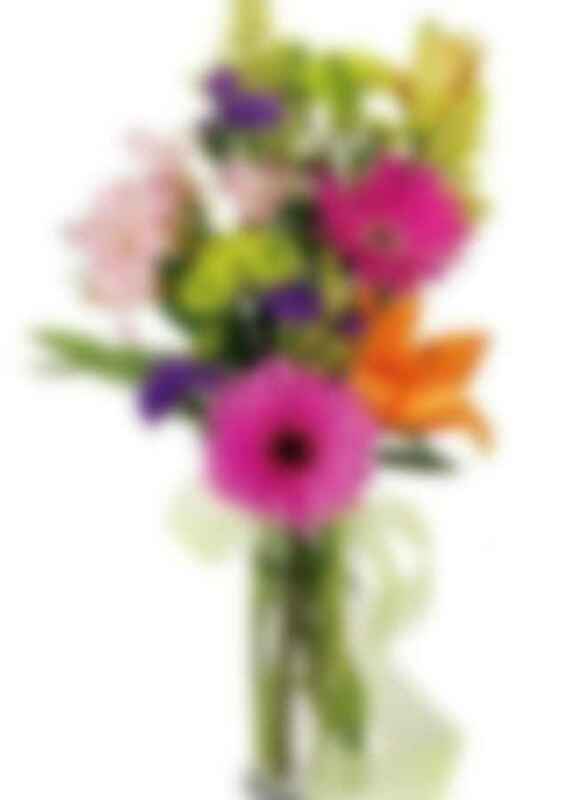 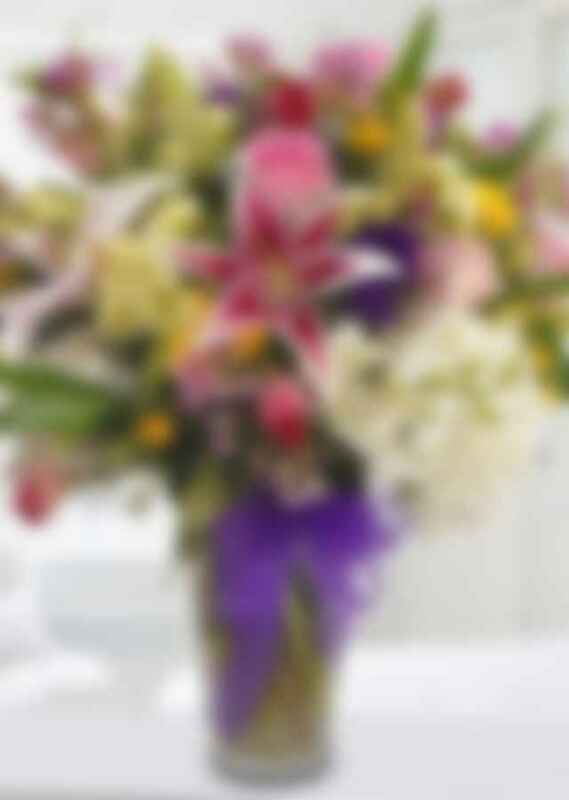 A sweet and simple vase of springs finest flowers. 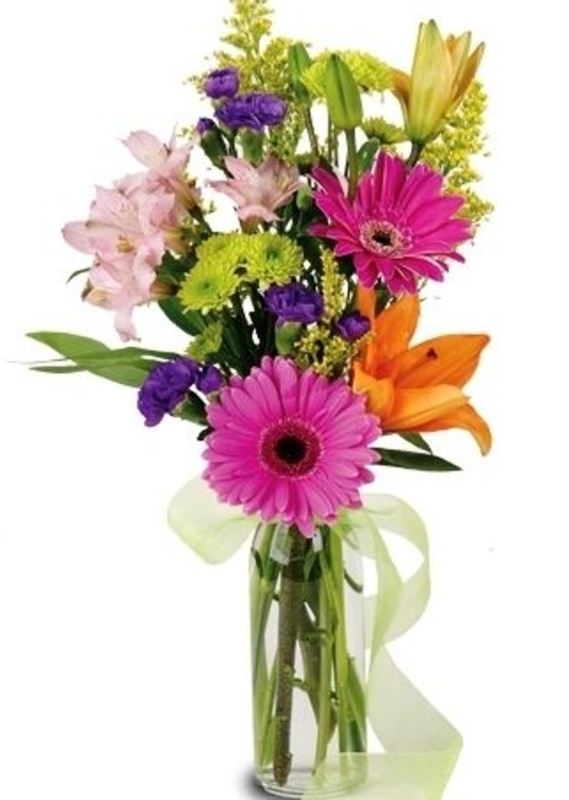 Gerbera daisies, lilies, alstroemeria, purple carnations and green button mums. 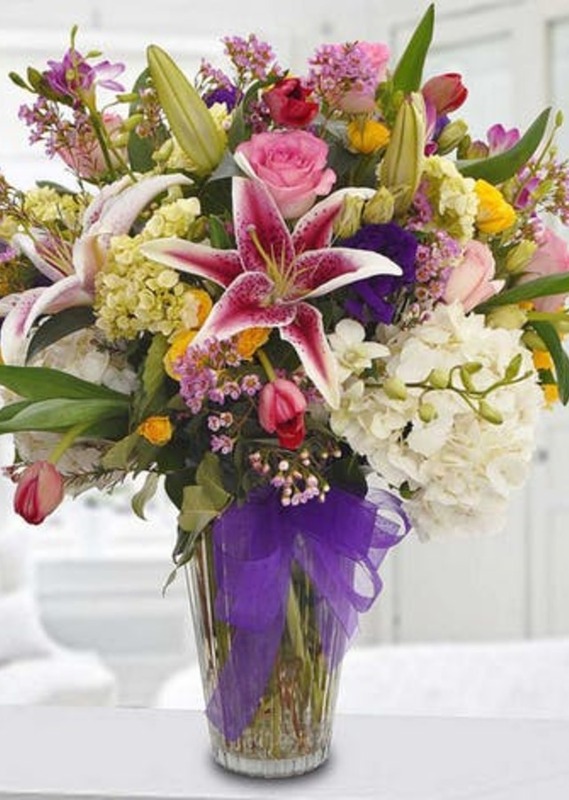 Just the right size to let someone know you didn`t forget!